Enhance your candidate screening and talent pooling with the Hireserve ATS smart talent search. 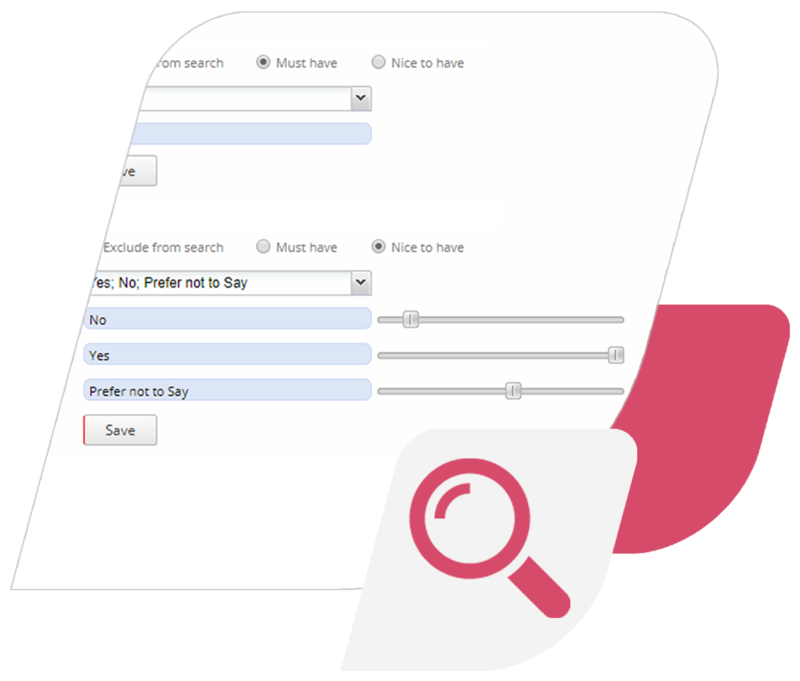 Hireserve ATS offers an innovative ‘Talent Search’ tool so you can quickly and easily search your candidate database for keywords. You can search for a number of terms, from specific skills to a certain industry, and assign different weights and importance to each one. This means when Hireserve ATS returns your search results, you’ll be able to see which candidates match your weighted search terms most effectively. Talent search also takes into account context when searching for your keywords, ensuring it returns as relevant results as possible. Hireserve’s intelligent talent search will return results not only from candidates’ online application forms, but from any documents they have also submitted.